I know this is not the type of topic I typically cover but it’s a big reason I decided to relaunch my website. Anyone that follows me knows I eat, breathe, sleep fashion BUT I do know there is so much more to life and happiness. This year I’ve made a commitment to really become a mentally stronger person. And if I can share my journey along the way in hopes to inspire anyone to lead a happier life, then my REAL job is done. I want to bring so much more meaning to what I put out into the universe and I think that starts with sharing how I’m not perfect, I’m not always happy, and I have a lot of growing to do. We all do, and we all need to constantly be evolving and educating ourselves. 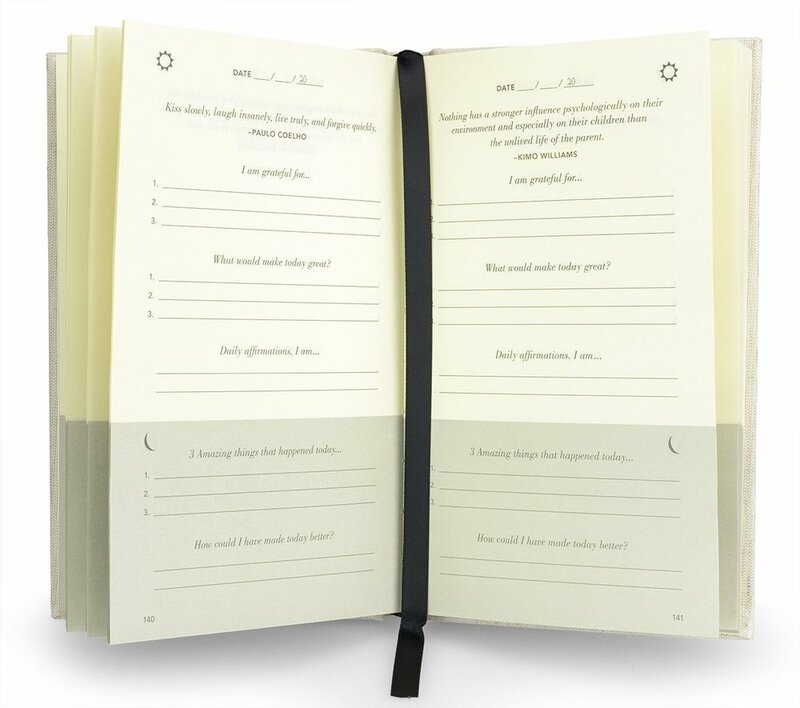 I want to start with an easy tool to be on the road to a stronger self, this journal. Matt actually found this and bought one for each of us a few months back and we’ve been using it ever since. The main reason I love this is because it’s guided journaling with sections to fill out. All you need is 5 minutes when you wake up and 5 when you go to sleep, and repeat. Let me give you a little breakdown. 1. Each page begins with the date and an inspiring quote to start the day with positive thoughts. 2. What are you grateful for? This is SO important to stop and think about every single day. Too often do we wish for a better life and not appreciate all of the things we already have. This is forcing you to write it down and clearly identify. 3. What would make today great? This space has only 3 lines to it really makes you think big picture. 4. Affirmations My favorite section! I really believe in manifestation and becoming the person you want to be. This can be what you think describes you but more importantly the qualities you wish you possessed. For example, I always put strong, organized, fearless, whatever it might be that you’re working on. Now you’re changing your mindset to believe that these are the qualities you already possess. 5. 3 Amazing things that happened today This can be something so small that just made you smile for a moment that day. It’s also kind of cool to have collected memories overtime written down somewhere. 6. What would have made today better? For me this section made it SO clear what I needed to work on. If day after day you write the same thing here, after a while you’re like okay, I NEED to fix that.